8th January to 12th January 2019 for online, are the dates which will decide the fate of many aspirants who wish to become an IITian. Whether it is before, during exams or after exams; students always feel the anxiety and the gravity of clearing the exam with flying colors. Once the exams are over, the tension about the rank and the score starts lingering in the mind of students. Thus, getting solutions for the questions posed in the final JEE Main exams is one of the predominant things for students. The solutions provided, explain what should have been the best tactic to attempt the question and are explained well in detail. These solutions are provided for Mathematics, Physics and Chemistry and are written by IIT JEE experts. These answers help you to gauge your performance in the exams and understand what mistakes you have done in examination. At askiitians, our team of experts works hard to ensure that the students get required support whenever they need it; whether it is before the exams start (tips and strategies to prepare for exams), during exam (Do’s and Don’ts while exams) and after the exam (in form of solutions provided). The solutions which are provided to the students are penned by IIT experts and varied Subject Matter Experts. AskIITians is a team of more than 50 ex-IITians with an average experience of more than 10 years. Lots of hard work and time is invested to ensure that the accurate clarifications are rendered to the students. 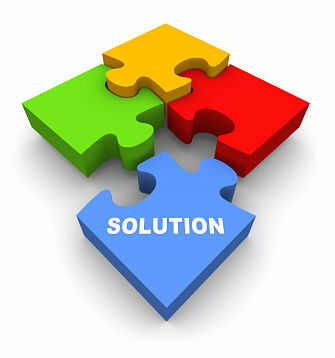 These solutions are available on the website in simple text format and in .pdf format. Students can download these solutions and refer them to weigh their performance and calculate their rank. These solutions can be accessed at any given point of time and any part of this globe. To get an access to these solutions, students need to register with us. It is a very quick and simple process. Just fill up the form and grab the solutions to meter your performance. Gauge your performance accurately using our solutions.